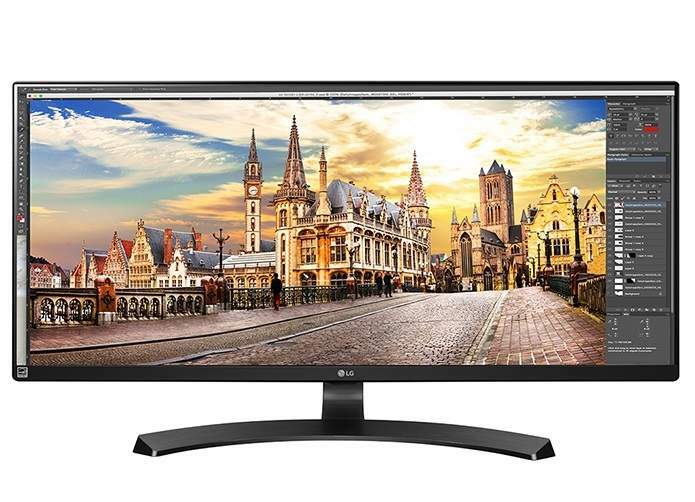 LG 21:9 UltraWide™ Monitor withFull HD (2560x1080) wide screen real-estate ideal for usingvarious programs with controlling and monitoringmore thumbnails or timelines- simultaneously. The color reproduction is enhanced bythe IPS display, because unlike a VA display,IPS has no color distortion or color shift,even when viewed from an angle. OnScreen Control software allows you adjust customize all the display options with a few clicks. Through OnScreen Control Software, select most needed screen setting among 14 of Screen Split options and optimize Multi-tasking window organization and screen real estate use.